Thousands of Louisiana employees are injured at work each year and many of those accidents result in serious injuries and death. 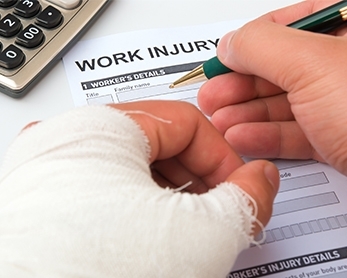 Employees who are injured at work are entitled to wage compensation and medical benefits for their injuries. In death cases, families may also be entitled to compensation. Additionally, depending on how the accident happened, injured workers may have other rights available to them. For example, if you are injured on a work site because of faulty equipment or negligence by someone other than your employer or co-worker, you may be able to sue for your pain and suffering in addition to your workers compensation benefits. Particularly, in the case of serious, long-term or disabling injuries, these additional funds may be necessary to ensure the long-term well being of the injured worker and his or her family. The workers' compensation statutes are designed to ensure that you, as an injured worker, receive the medical treatment you need and wage benefits, if you are disabled by your injury. This is true regardless of who was at fault for the accident. Despite this, employers or their insurers, will often deny or delay wage benefits, deny necessary treatment or not even allow you to choose your own doctor. If you find yourself in this situation, don’t go it alone. We can answer all your questions. Call us today for a free consultation and case evaluation at 318-443-7615 or SUBMIT A SHORT AND SIMPLE CASE FORM HERE!